When I hooked up to the house I didn't have power to the coach. I put my meter on the cord where I was plugging it into the coach and I had 124 volts to the coaches power cord. I turned on the generator and I had ac power to the coach and it would run the charger. I also had power in the coach when I turned on the inverter. Since I have power with the generator and inverter and no power from the 110 cord attached I'm thinking I have a transfer switch problem. How do I go about troubleshooting the transfer switch? If it turns out to be the switch do I need to replace the switch or are there parts in the switch that are replaceable. Were you using commercial adapters to connect to your 50amp power cord or a home made one? You can take the cover off the xfer switch and check for 120v on L1 to neutral and 120v on L2 to neutral from the coach's power cord. I was using store bought commercial adapters. Are there any after market power transformers or surge protectors between the coach and house power? I have found since I added my surge protector and power transformer, my coach will not recognize a 15 or 20 AMP AC power input. 30 AMP and above works great. Gary, there ar no power transformers or surge protectors in line. This setup had worked a couple of months ago and the people I bought the MH from used this setup to keep the batteries charged. I have an Iota transfer switch in my Dutch Star. It would not transfer to the Gen and then I lost power to one leg of the 50 Amp circuit. Take the cover off and use a Voltmeter to see what is going on. Make sue you have power on the transfer switch side of your surge protector if you have one installed. All the leads are clearly labeled on the transfer switch. It is not a hard job to replace it. Mine was clearly charred on on set of relays. No idea why that happened. Sonny, your using a 120 to 50amp adapter to plug your cord into coach. You test your cord did you take any readings through the cord adapter and see if you read 120 in adapter where the 50 amp blades plug into the adapter to see if your adapter is ok. You may have one of the blade slots open and it happens to be the side that feeds your converter to charge your batteries. I would check the adapter before pulling transfer switch apart. Update: Everything is back to normal now, whatever normal is for me. This morning I checked all the ends of my outside connection to make sure I had power running thru all the connections before I hooked it up to the mh. All checked out ok. I plugged the power into the mh and went inside no power. I went back outside and put my volt meter on the leads from the shore cord to the transfer switch, I had power there, I then checked the leads going into the mh from transfer switch and I had power there too. I scratched my head a little and decided to go inside and see if I had some basterd setup going thru a GFI or something, when I went inside I looked at the control pannel I had power this time. Must have had a stuck relay inside the transfer switch. Hope this is not a sign of things to come. I have a Iota transfer switch and apparently they don't make them anymore, I have found a couple online and I might go ahead and buy one as a backup. It looks like it would be easier to replace the transfer switch with one like I have now vs going with a different brand. I see a lot of cussing in my future if I have to replace the transfer with a different brand and have to run the wires to a different location. 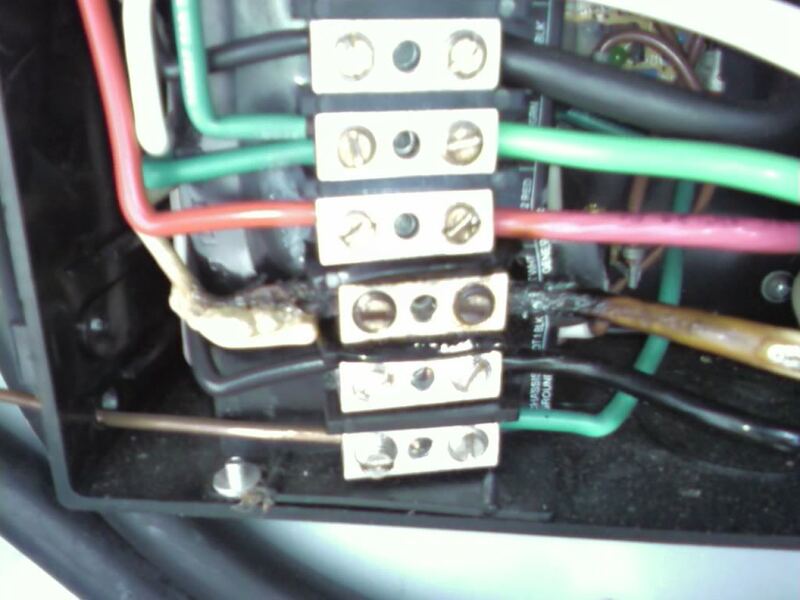 It's a good idea to make sure all the connections are tight, this transfer switch burned up last summer ,the neutral connection was loose . could have burned down the coach. replaced it myself with a unit from Tweetys. When you have power disconnected again try running a $ bill through the contacts of your relays in transfer switch. Could have dirt or filings on contacts $ will clean them. Be careful working in TS the control board wholes a charge. Found out my transfer switch was bad when DD started generator when we were plugged into house power,it backed and popped the house breaker. Called ESCO 574 264-4156 (ES50-volt-surge) they sent me a trouble shooting guide and found that the house(shore) side contractor was frozen, had a choice- replace whole unit for $400 or just shore contractor for $220. Bought whole new unit and had electrician friend replace the bad contact coil. Now I have a spare for next time. I can scan the trouble shooting guide if you want.